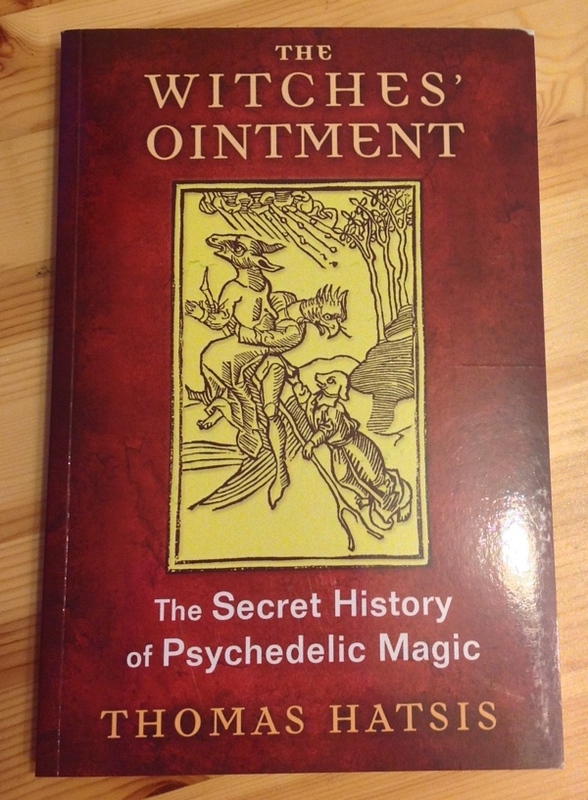 The Witches’ Ointment: The Secret History of Psychedelic Magic by Thomas Hatsis, has arrived at the Reading Room courtesy of the publisher Inner Traditions, under the Park Street Press imprint. “In the medieval period preparations with hallucinogenic herbs were part of the practice of veneficium, or poison magic. This collection of magical arts used poisons, herbs, and rituals to bewitch, heal, prophesy, infect, and murder. In the form of psyche-magical ointments, poison magic could trigger powerful hallucinations and surrealistic dreams that enabled direct experience of the Divine. Smeared on the skin, these entheogenic ointments were said to enable witches to commune with various local goddesses, bastardized by the Church as trips to the Sabbat–clandestine meetings with Satan to learn magic and participate in demonic orgies. This entry was posted in Hermetic Library Reading Room, The Heredity of Witchcraft and tagged books, Inner Traditions, Park Street Press, Reading Room, Thomas Hatsis, Witchcraft on October 4, 2015 by John Griogair Bell. 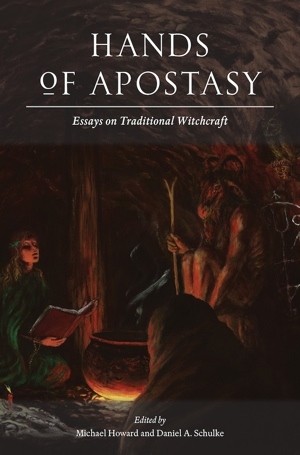 Hands of Apostasy: Essays on Traditional Witchcraft, edited by Michael Howard and Daniel A. Schulke, in special and standard hardcover editions from Three Hands Press, and available for pre-order now, may be of interest. “Old-style Craft, also known as traditional witchcraft, endures as a distinct body of archaic magical practices in present-day Britain, North America and Australia. Originally nameless, such bodies are related to a variety of historical magical streams, most notably the practices of the Grimoires or ‘black books’, folk-healing, and popular magic of the early modern era. Typically, such groups operate in secret, with strict means of initiatic succession, and practice sorcery characterized by a dual ethos of healing and harming. Though an internally contentious issue, the word witch is accepted as a descriptor for practitioners of this art, as is anti-witching for practices of removing curses and binding magical malefactors. Though still obscure, even in occult circles, the variety and idiosyncrasy of Old Craft traditions is remarkable. The witches of Cornwall, with their corpora of folk charms and blessings, are one such phenotype. The Pickingill Craft as described by E.W. Liddell, remains despite its controversy one of the most unique and potent Craft persuasions, as do the teachings and practices of Robert Cochrane, founder of Clan of Tubal Cain. The Manx Old Order, the Skull and Bones tradition of Pennsylvania, and the Cultus Sabbati, with the medieval Witches’ Sabbath as an important organizing principle, are yet other distinctive traditions. Hands of Apostasy is a groundbreaking witchcraft anthology presenting nineteen articles written by both scholars and practitioners, addressing such crucial Old Craft topics the Devil, Initiation, the relation of witchcraft to the grimoire corpus, the mysticism and magic of herbs, folk-charming, the nocturnal flight, the Romantic movement, the witches’ cauldron, and the powers of moon and tide. Representing widely-varying witchcraft traditions and perspectives, the book is a sound testament to the Craft’s history, diversity and strength, as well as the characteristic marks of an evolving and contemplative tradition. A complete list of essays and authors is found at right. 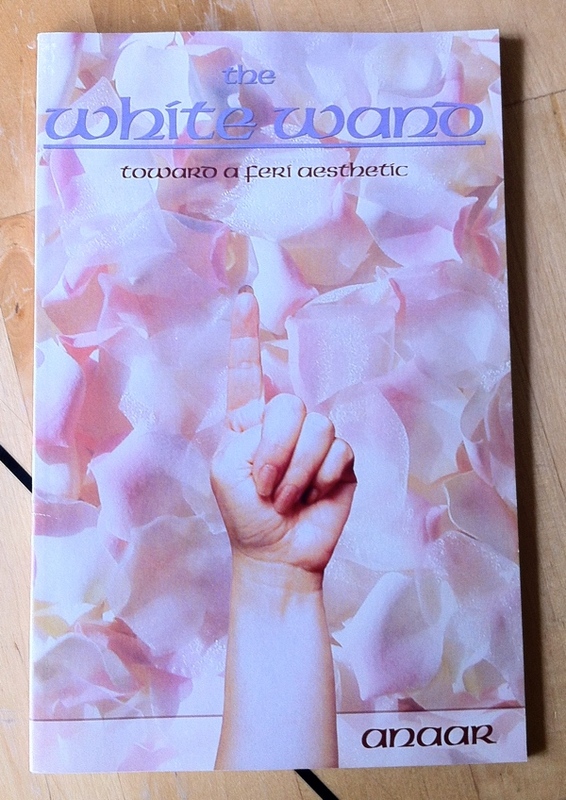 The White Wand: Ruminations, Meditations, Reflections toward a Feri Aesthetic by Anaar (April Niino), foreword by Cora Anderson, is part of the collection at the Reading Room. This book has been made available as a free download courtesy of the author. “My artistic tradition stems from my religious tradition. THe work I do, and the way it is done is a direct result of my training as a priestess. As children we played a game with string. Holding the string we wove a web between out hands. Like spiders spinning their universe, between our hands fell a web of magic. Mimicking the Star Goddess, we held a web of power. I dive between my partner’s hands to lift this net, forever changing its shape. And she dives into mine, changing it again. Artists, like children are weaver shamans creating a world between their hands. My process has been described as an exploration of the intersection of Feri and the arts. It is the process of creation, and is central to my intimate connection to God Herself. 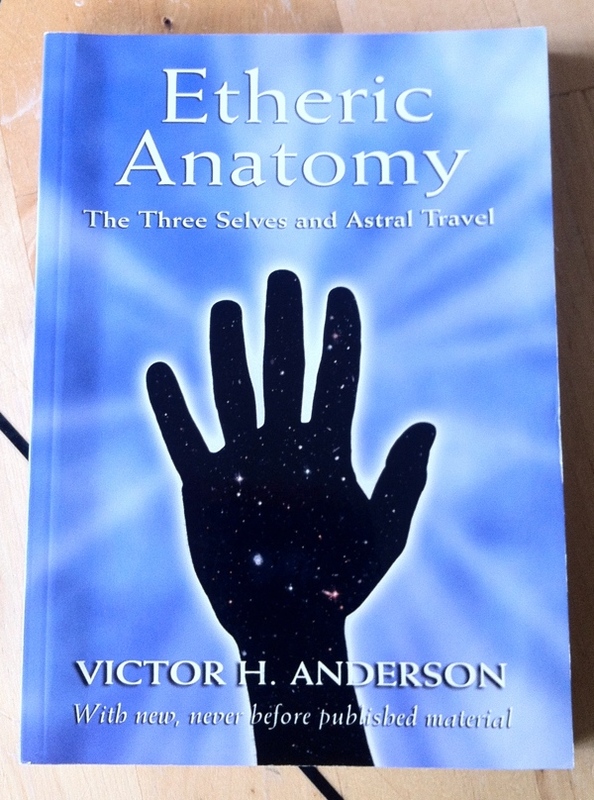 These meditations come from personal practice; some are a gift from the Goddess, in dream and memory; most are from the teachings of the Grandmaster Victor Anderson. The ground of this work is the blood source of our Feri ancestors, running in our veins. The expression is our lore, the awesome power of night and day. The source is the sensual ritual of The Star Goddess, manifest in our bodies. The language of Feri is the language of poetry, of art, of ritual. The foundation of this language is our intimate communion with God Herself. This entry was posted in Hermetic Library Reading Room, The Heredity of Witchcraft and tagged Anaar, April Niino, books, cora anderson, feri tradition, Reading Room on July 3, 2014 by John Griogair Bell. 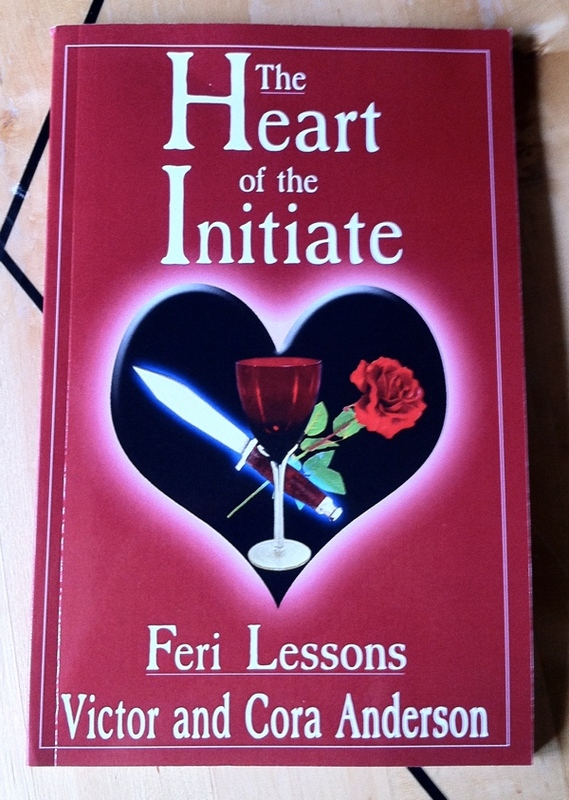 The Heart of the Initiate: Feri Lessons by Victor H Anderson and Cora Anderson, from Harpy Books, is part of the collection at the Reading Room. 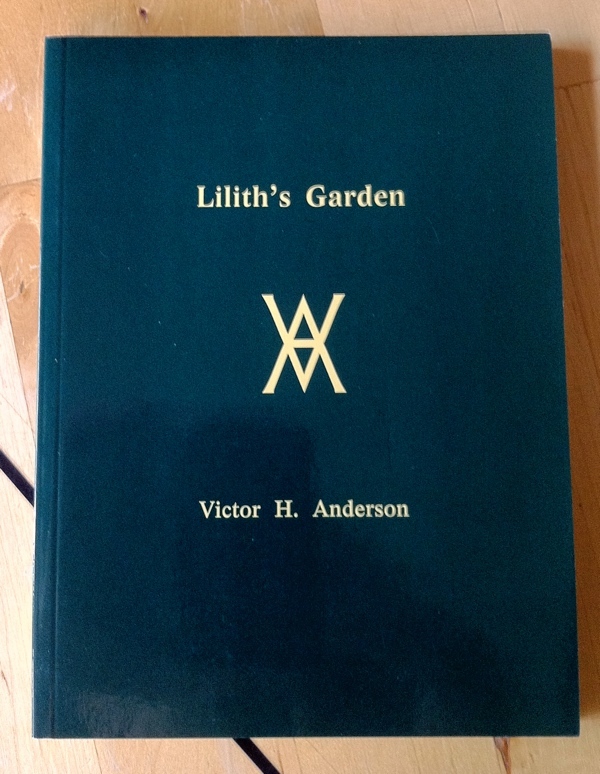 This entry was posted in Hermetic Library Reading Room, The Heredity of Witchcraft and tagged Acorn Guild Press, books, cora anderson, feri tradition, Harpy Books, Reading Room, Victor H Anderson on July 2, 2014 by John Griogair Bell. “How does one begin to write about a person you have known for almost thirty years, who has taught you their secret Craft, introduced you to the Goddess, given you their personal style and form of charms and Craft tools, set your feet upon a path that would deliver you from false religious fantasies, and opened the door of spiritual perception? Cora has been my spiritual mother and guide, and through the years has given me a love that in time grew to match my true love, that of Goddess herself. “The Old Craft, as sometimes it is called, has a very dangerous side inherent in its practice. The very forces used are the same ancient ones that set this universe into motion. This major point is too often forgotten, glossed over, never fully realized, or completely realized! Don’t forget the powers of Nature’s creation include dangerous ones too, like death, disease, pestilence, destruction and deterioration. Nature has her pathological side. So without a basic Craft yardstick by which to measure and separate truth from religious fantasy one is lost, dangerously lost. 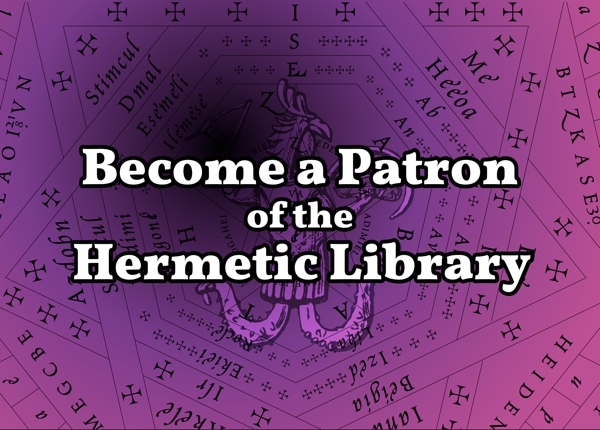 This entry was posted in Hermetic Library Reading Room, The Heredity of Witchcraft and tagged Acorn Guild Press, books, cora anderson, Dennis, Dennis Strand, feri tradition, Harpy Books, Reading Room on June 29, 2014 by John Griogair Bell. 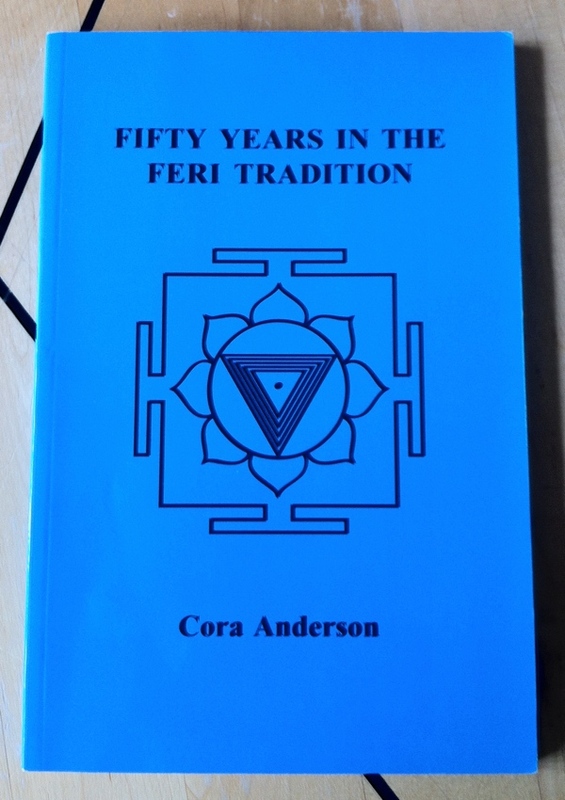 This entry was posted in Hermetic Library Reading Room, The Heredity of Witchcraft and tagged Acorn Guild Press, books, cora anderson, feri tradition, Harpy Books, Reading Room, Victor H Anderson on June 28, 2014 by John Griogair Bell. “There are many Feri lessons within his poems. Victor was a wealth of lore and historical information, a master magician, and a great rebel. But poetry was his main devotional vehicle. Poetry was his expression of a passion few could understand. One of Victor’s main concerns regarding his teaching was that his students understand poetry. His students found that he would test them not on their knowledge of poetic form, he did not care if you knew the definition of iambic pentameter. And he would repeat his questioning until he was certain you understood. One could not get far with Victor if one did not understand poetry. 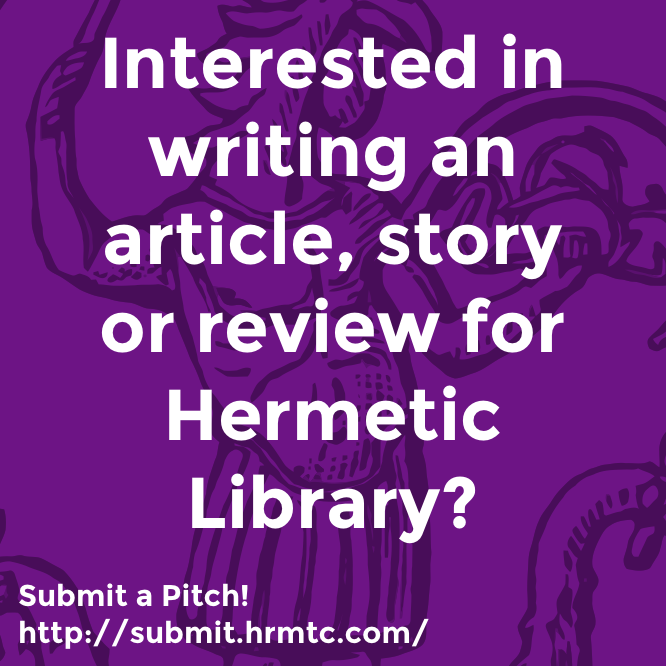 This entry was posted in Hermetic Library Reading Room, The Heredity of Witchcraft and tagged Acorn Guild Press, Anaar, books, feri tradition, Harpy Books, poetry, Reading Room, Victor H Anderson on June 27, 2014 by John Griogair Bell. “Victor’s poetry reflects thirty years of struggle with a world that rarely rewarded his talents. 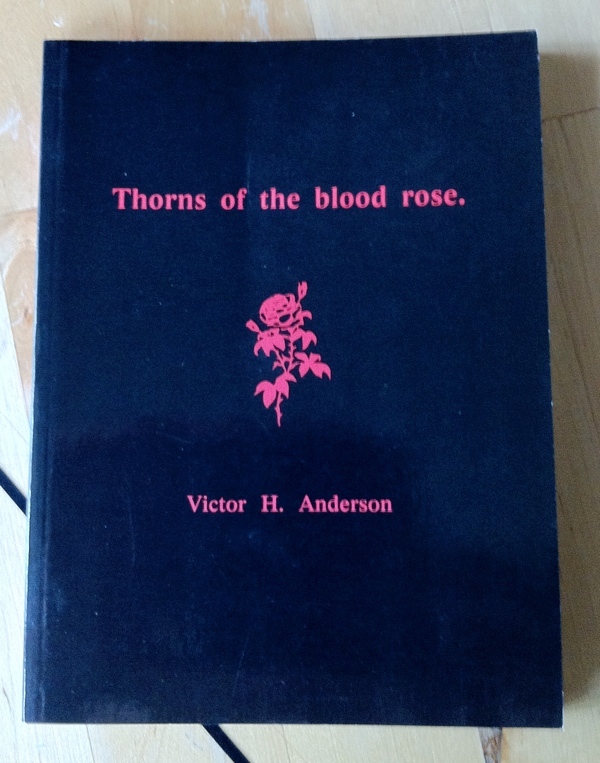 Publication of the first edition of Thorns of the blood rose in 1970 brought him the public recognition he deserved, but it also brought him in contact with the Neopagan community, who were willing and eager to listen to his philosophy and learn how to use their own latent powers. Very few, however, actually made it as far as entering training with him, as his standards were both exacting and alien. 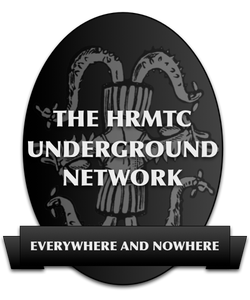 This entry was posted in Hermetic Library Reading Room, The Heredity of Witchcraft and tagged Acorn Guild Press, books, feri tradition, Gwydion Pendderwen, Harpy Books, poetry, Reading Room, Victor H Anderson on June 26, 2014 by John Griogair Bell. Weiser Antiquarian Books Catalogue #120 is a collection on “Witchcraft. Used and Rare Books.” and may be of interest. Welcome to this, the one hundred and twentieth of our on-line catalogues. The subject of the catalogue is Witchcraft, with most of the works relating to what might loosely be termed “The Western Witchcraft Tradition,” spanning the period from the late Middle-Ages, through the European and American witch trials, to the modern witchcraft revival. Most of the books are quite modestly priced used books from the second half of the twentieth century, although there are some rarities scattered throughout. The rarities include a copy of Robert Calef’s scathing account of the Salem witchcraft trials More Wonders of the Invisible World: or The Wonders of the Invisible World Displayed (Salem, 1796) and an extremely rare edition (limited to only 50 copies) of Michael Smith’s, The True Story of Father Girard and Miss Cadiere (1840) which recounts the sagas of Catherine Cadière and Jean-Baptiste Girard, subjects of what is commonly regarded as the last of the French witch trials and the last public examination of a case of “possession.” The works of the witch-hunters themselves are represented by a number of handsome limited editions edited by the remarkable Reverend Montague Summers. These include Henry Boguet, An Examen of Witches (1929), Richard Bovet, Pandaemonium (1951); Nicholas Remy, Demonolatry (1930); and Jacobus Sprenger & Henry Kramer, Malleus Maleficarum (1928). Another work of considerable rarity is a first edition of Charles G. Leland’s Aradia. or The Gospel of the Witches of Italy (1899), an account of the beliefs, rituals and practices of an ancient Tuscan witchcraft tradition that is often cited as the work which fired the twentieth century witchcraft revival. Also by Charles Leland is the huge, handsome, but rather deceptively-named volume: Etruscan Roman Remains in Popular Tradition (1892). The book comprises two parts, “Gods and Goblins” and “Incantations, Divination, Medicine, and Amulets,” with the latter part of particular importance to those with an interest in magic and witchcraft. There are two different issues of the book in the catalogue, the one is the “ordinary” edition, the other, the “fine edition” is slightly larger format and limited to 100 numbered copies (of which this is number 2), signed by Leland, and with an original black and white drawing by him tipped in facing the title-page. 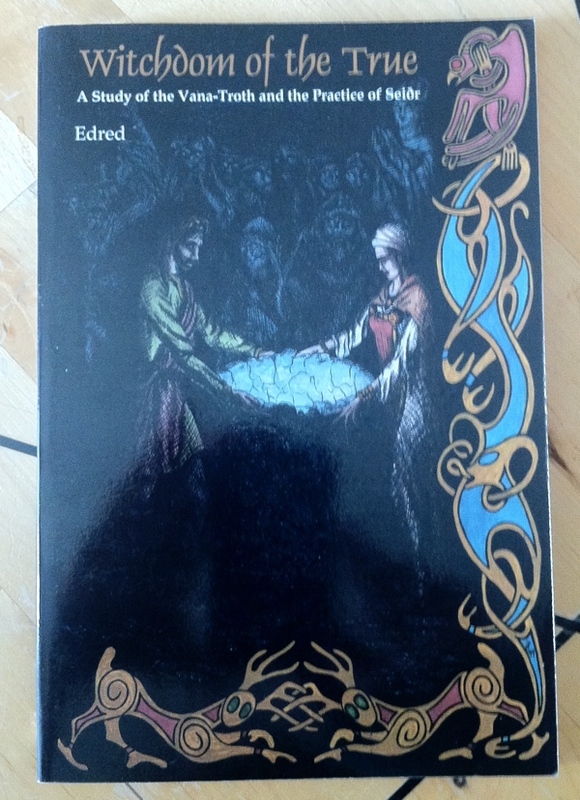 Witchdom of the True: A Study of the Vana-Troth and the Practice of Seiðr by Edred Thorsson (as Edred), a 1999 paperback from Rûna Raven Press, is part of the collection at the Reading Room. On the title page, this also has “Volume I: Lore and History” and “From a Manuscript Formerly Entitled ‘True Wicca'”. This entry was posted in Hermetic Library Reading Room, The Heredity of Witchcraft and tagged 1999, books, Edred, edred thorsson, formula, Inga Steddinger, lady, Lord, Neopaganism, Northern tradition, pagan, Reading Room, ritual, Runa-Raven Press, Seiðr, Stephen McNallen, vana-troth, Vanir, Vanir faith, wicca, Witchcraft, witchdom on March 25, 2014 by John Griogair Bell.